As we now complete the second course of Mediterranean Permaculture at our farm, Nea Guinea’s human ecosystem feels more diverse and productive than ever! As we now observe the imprint of this educational process on our land and ourselves, we really feel gratitude for all students and teachers that participated in it, as well as all the people that supported us financially to make it happen. 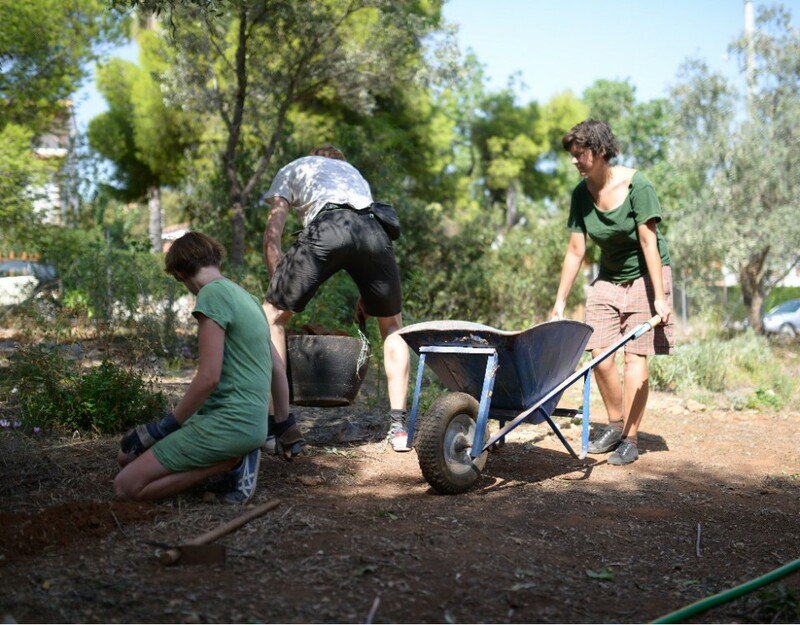 This course run on a weekly basis for a 2 months period (September to November 2018) and introduced a group of 40 young people to Permaculture design and empowered them to make positive changes that will benefit both their communities and the natural ecosystems that surround them. 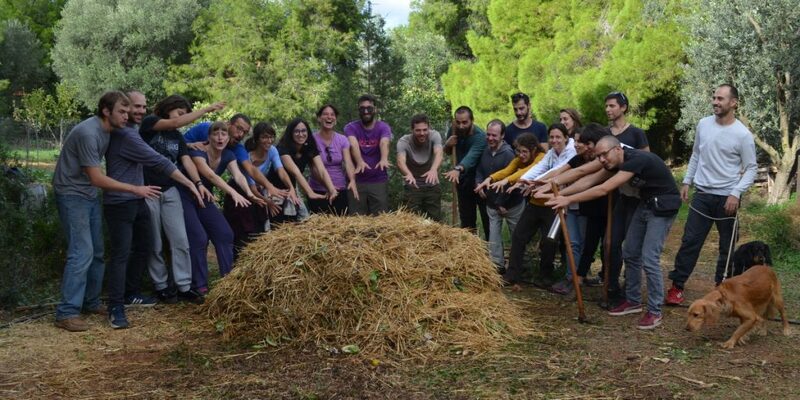 During this course we studied and experimented with different Permaculture concepts and practices, aiming at proposing solutions to sustainability issues related to the arrangement of human activity and the management of natural resources on a farm scale. The educational activities consisted of both theoretical and practical workshops that introduced the participants to team work and creative problem solving while providing them with a tangible foothold in developing design and implementation skills. 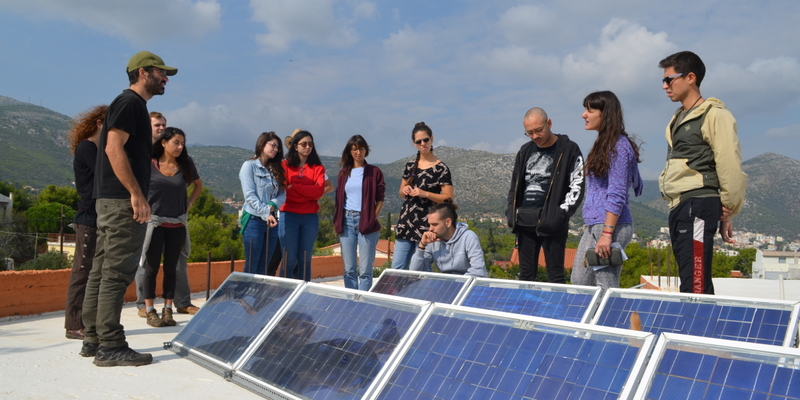 They were co-facilitated by the Nea Guinea team and seven more Greek Permaculture teachers, that traveled to our farm from different places around the country to share their extensive knowledge and enthusiasm with our students. Teachers and students, we all made a great team, really enthusiastic and hard working that has moved everything so much forward on the farm this season! 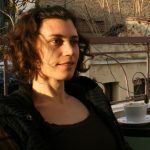 This course has been funded by an on line crowd funding campaign, a fund raising party and the participants themselves on a free donation basis. This funding scheme has made the course accessible to local youth that has limited financial resources. Below you can read the course program, as well as some information about the Permaschool’s teachers (as they appear on the program). 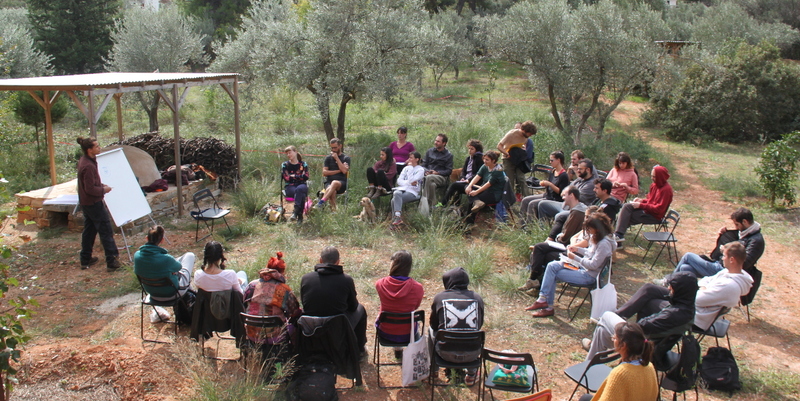 Alexandros participated for the first time at a Permaculture seminar in 2013. 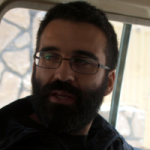 Since then, he has been working as a designer and consultant for farms as well as coordinator of community projects in Attica. Through his work experience and self awareness, his vision is to combine social Permaculture alongside other tools to highlight how human qualities and creativity can come to light, and be shared and strengthened through food production, physical rehabilitation and community building. He facilitates through the heart, offering depth, humor and unity to the team. 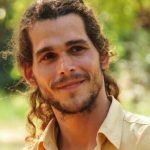 He is currently working on his diploma in Applied Pearculture with the Permaculture Association of UK. 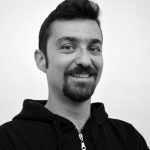 Andreas has studied biology in Athens and Horticulture in Berlin and Vienna. 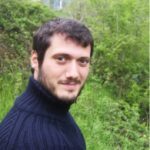 He is working as a researcher on Mediterranean ecosystems and Greek flora. 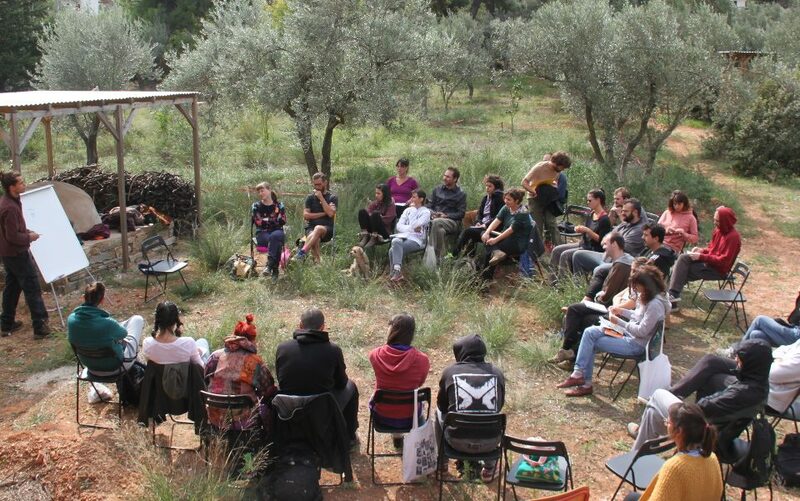 His first contact with permaculture was in 2011 when he attended a Permaculture Design Course with Darren J. Doherty. 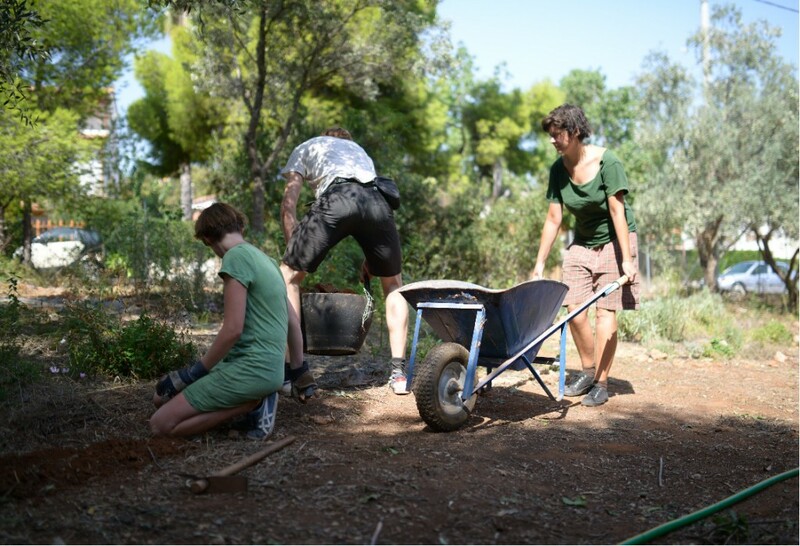 Since then he has participated in the design, implementation and management of gardens and farms as well as in related educational activities. 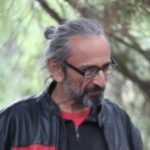 He has been particularly concerned with olive and olive groves, and his great passion is the soil and how it can be regenerated with simple and readily available means. 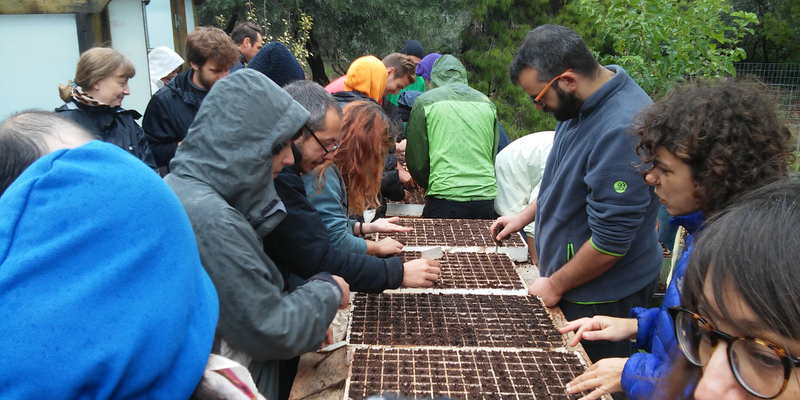 In 2016, he attended a series of seminars in Turkey with Molly Haviland, regarding soil, compost and its applications («The Art of Microherding for Regenerative Agriculture”).He wishes to adapt the principles of Permaculture to the Mediterranean climate and to disseminate them. 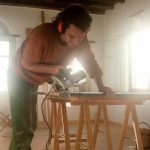 Kostas comes from a farmer’s family and has been working with the land all his life. He is a professional grower and is actively involved in seed preservation initiatives locally. 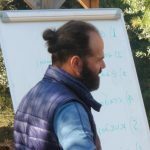 Working on his 2.5 h farm in Vonitsa, he designs and establishes regenerative food production systems that integrate plant and animal elements, while at the same time he experiments with different Permaculture techniques in order to adapt them to the local climate. Nikolaos grew up close to nature and spent most of his adult life in big cities of the “Western North”. While studying and teaching mechanics and sciences, he was exploring the fungi kingdom in the surrounding forests. 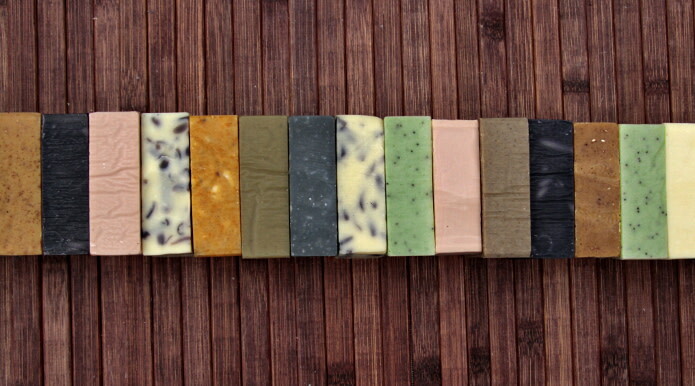 He has cultivated mushrooms for food, bioremediation and soil regeneration in houses, gardens and occupied spaces. 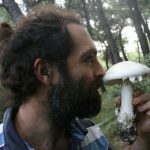 He is now spending his time between his land in Crete (Eleutherochorafo) and several wild mushroom sites, collecting and cooking mushrooms of all kinds in all possible ways! For more info on the previous Permaschool in Spring 2018 go here.